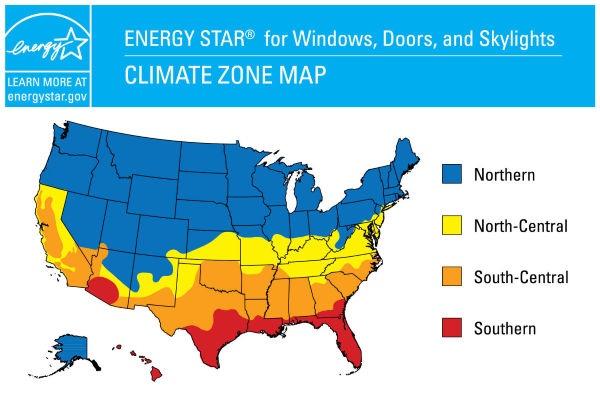 ENERGY STAR® is a voluntary partnership between the U.S. Department of Energy, the U.S. Environmental Protection Agency and the fenestration industry. It is designed to assist consumers in the recognition of energy efficient products and promote the environmental and economic benefits of these products with the ENERGY STAR® label and other program activities. NFRC (The National Fenestration Rating Council) is a non-profit organization that administers the only uniform, independent rating and labeling system for the energy performance of windows, doors, skylights, and attachment products. Additional information regarding the NFRC can be found at NFRC.org.